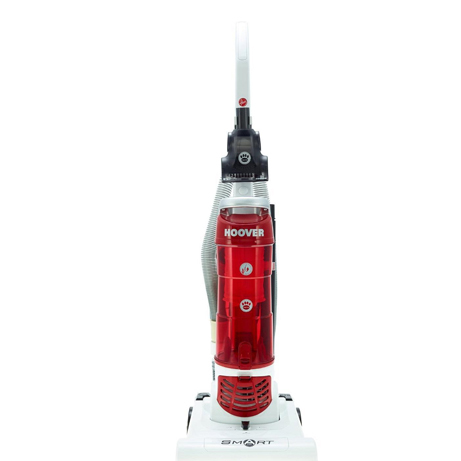 This Hoover Upright Vacuum Cleaner offers excellent pick up and performance at a very competitive price. Ideal for hard floors and carpets and boasting a 3L bin capacity, this vacuum is perfect in most scenarios. 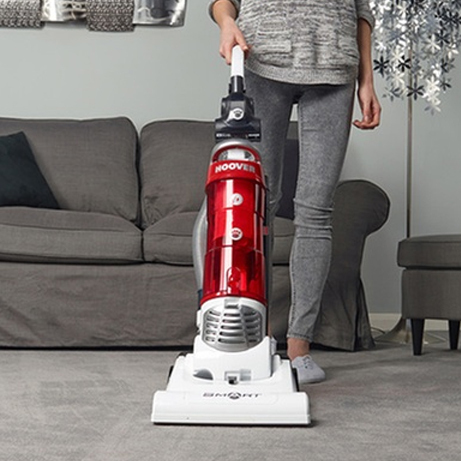 With a top class A Energy rating, this vacuum is designed with money saving efficiency in mind. Designed with Edge-to-Edge cleaning this vacuum offers excellent pick up and performance at a great price. The 2.5m stretch hose is a great addition that allows you to vacuum other hard to reach areas of your home, such as stairs and ceilings, not just floors. Smart is suitable for hard floors as well as carpets and comes with a handy crevice tool for effective cleaning of a wide range of surfaces. 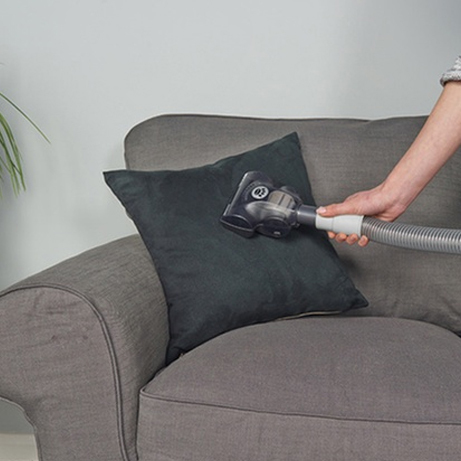 Complete with a powerful Pets Turbo Brush, this vacuum effectively loosens and lifts stubborn pet hair on your stairs, carpets and upholstery leaving beautifully clean and hair-free home. Using Hoovers’ high efficiency motors and advanced Airflow systems, This Vacuum has been independently tested to provide great performance whilst also thinking on the side of energy saving.